It's finally here! 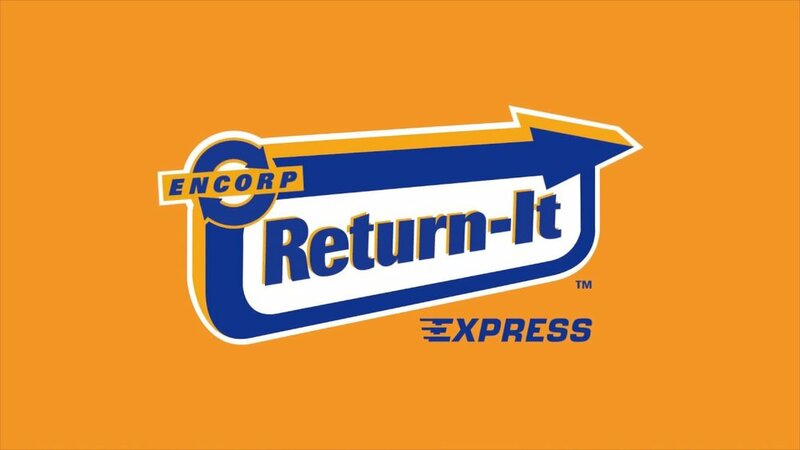 Return-It Express program. This program introduces a new option for British Columbians to recycle their used beverage containers. Consumers will be able to drop off their containers at a Return-It Express kiosk without having to sort them first. We take care of the sorting and credit the deposit refunds to the consumer's online account. Then, the consumer can turn those refunds into cash, gift cards, or a charitable donation. To sign up for your free Return-It Express account, visit express.return-it.ca and register with a phone number of your choice. With Return-It Express there's no need to sort. Simply place your empty beverage containers securely into a "Blue" or transparent bag. Visit the Return-It Express kiosk at one of the locations (listed above) and use your registered phone number to access your account. Once you've finished, the kiosk will print off labels for you to stick on each bag. It's important each bag receives it's own sticker. Place your bags into the Express Kiosk chute and you are done. We'll sort, count and refund your deposit. It's that simple. Go online to check the status of your account or to redeem your refunds for e-gift cards, a cheque or a charitable donation.